As we celebrate a decade of our org’s existence, we’re looking back at the 10 major things we’ve accomplished. 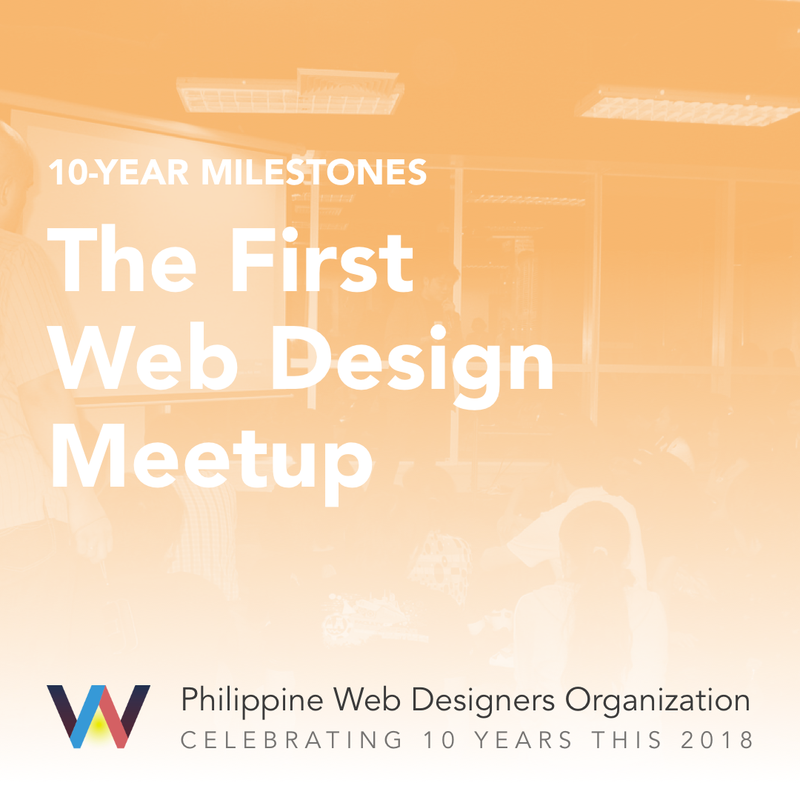 It all started in 2008 with a post on social media right after the first WordCamp in Manila, saying that we wanted a web design conference. Everyone who replied and expressed interest joined a Basecamp group, then set up an initial gathering in BGC on September 11 to hash out how exactly we wanted to do this. Because we wanted to hold a web design conference, we decided the smart move would be to form an organization. Online communities of web designers already existed at this time, namely the highly-revered Philweavers, but we also needed to register with the government since we were going to charge for the conference tickets, and expected that participants would ask for official receipts. Working out of coffee shops in our spare time, we debated what we would name things, what we would stand for, when our events would happen, and who would do what. We officially incorporated as a non-stock, non-profit corporation in March 2009. 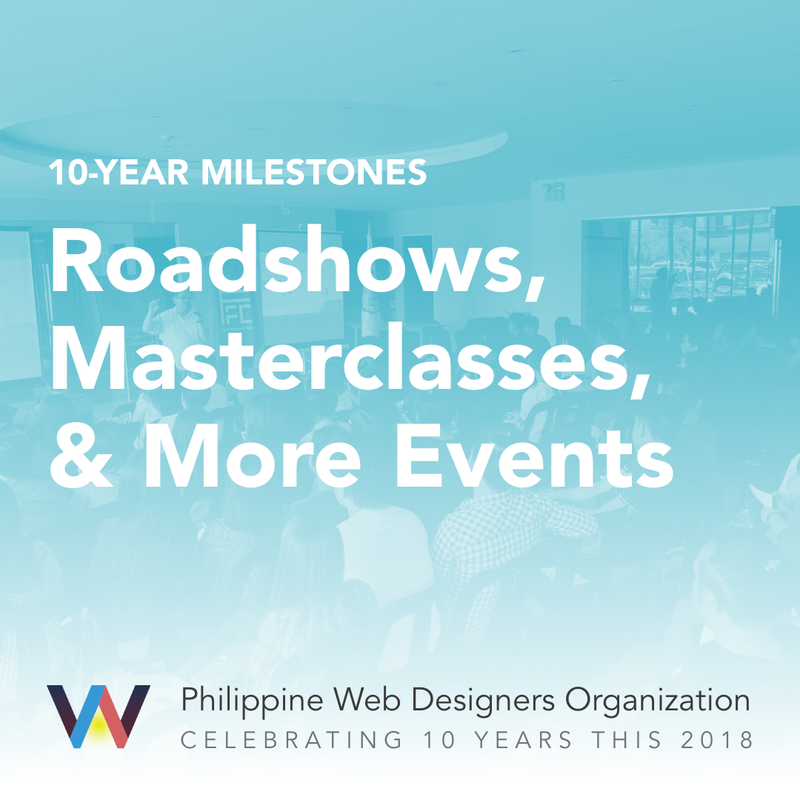 We want a Philippine web design conference. So we're planning one. Talking heads and form, function, class: what's up with Philippine web? 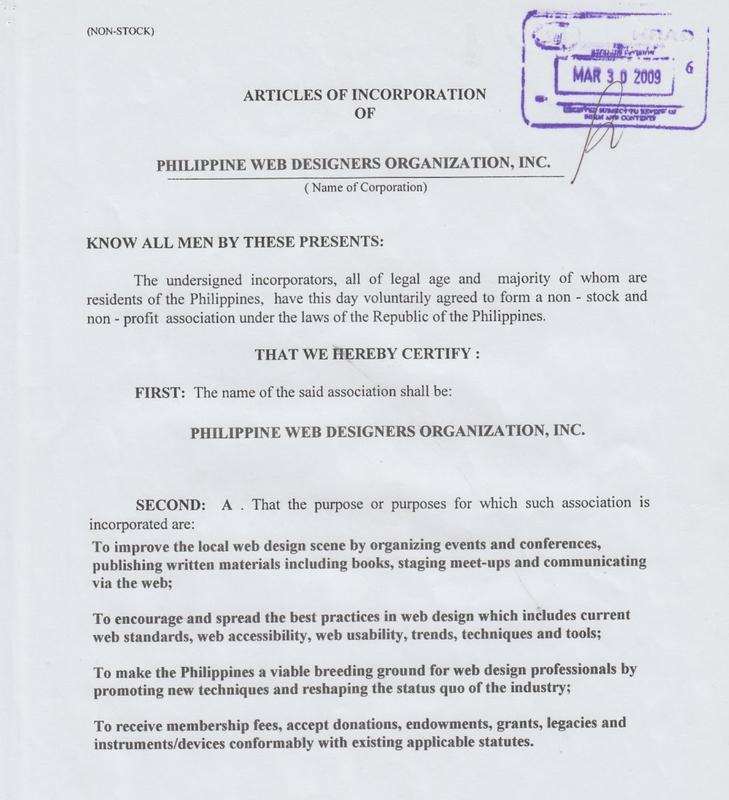 PWDO Articles of Incorporation, page one. Starting an org was not our only strategy on the road to having a web design conference. We thought that holding smaller, more informal meetups would help build buzz leading up to the event. On October 30, 2008 at the Exist TechBar, we held the first mini web design conference, which we now call MiniFFC. We’ve held over 50+ since, and we’ve expanded the format to feature lean coffee discussions, workshops, remote speakers, quiz night, Q & A panels, drink-ups—sometimes even music & spoken word. We stream the meetups over Facebook live and upload the recordings to our YouTube channel. We named our conference <form> function() & .class, after the 3 fundamental elements of a website, and the words themselves. Web design deals with both form and function, and we want to instill lifelong learning through the event, especially in an industry that never stops changing. 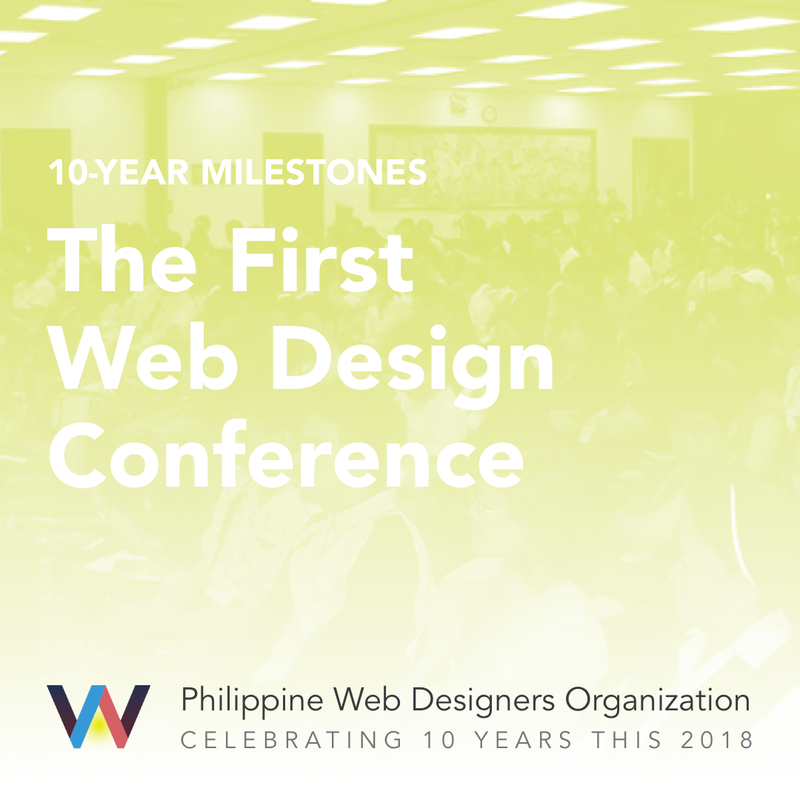 Not only is Form Function & Class the first of its kind in the Philippines, it is also the first web design conference in Asia. By 2018, we’ve held nine excellent conferences, each one even better than the last. We take pride in pushing for quality talks from industry leaders, both local and abroad. 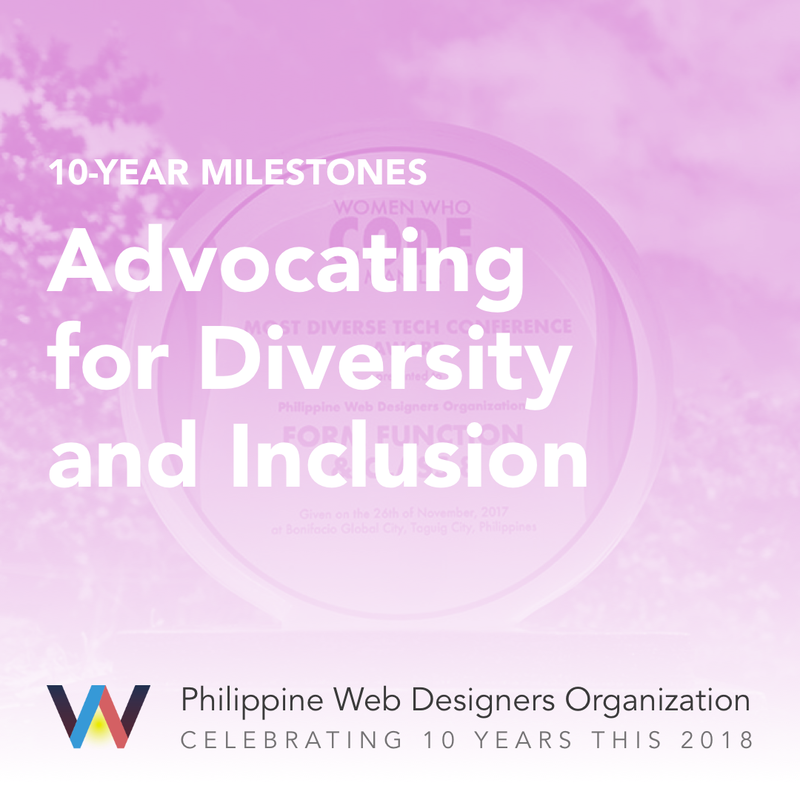 Dan Matutina, Gail Villanueva, Brian Tenorio, Angela Chua, Luis Buenaventura, Angela Obias-Tuban, Levi Ong, JP de Guzman, & Andrei Gonzales are just some of the amazing folks who have graced FFC. On the international side, we’ve been fortunate to have Thomas Gorissen, Jina Bolton, Sacha Greif, John Allsopp, Rachel Nabors, Brad Frost, James Cabrera, Hui Jing Chen, Madhura Chavan, Chris Lienert, Holger Bartel, & Vitaly Friedman. 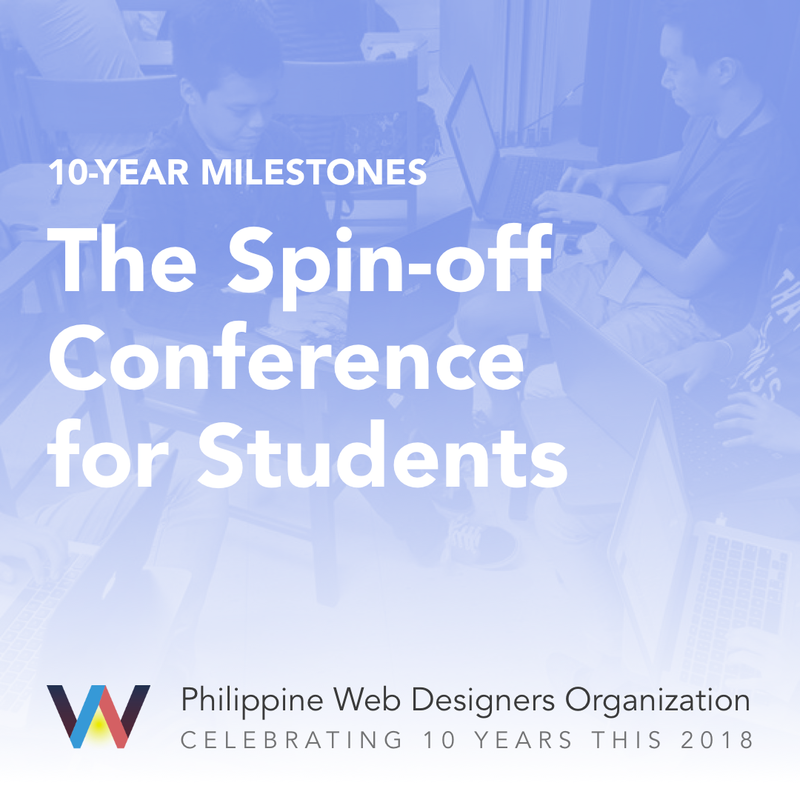 We’ve partnered with student organizations to organize FFC since the beginning, and one of our strongest allies, UST TomasinoWeb, envisioned an offshoot of the conference that catered specifically to students and had a more accessible price point. Thus, Junior Form Function & Class was born in 2012. Since then, more student organizations have collaborated on JFFC, including UST Information Systems Society, Ateneo GRIDS, UX Society ADMU, UX Society DLSU, and Philippine Computing Organizations Alliance. Right around the time where hackathons were all the rage, we conceptualized something unique. 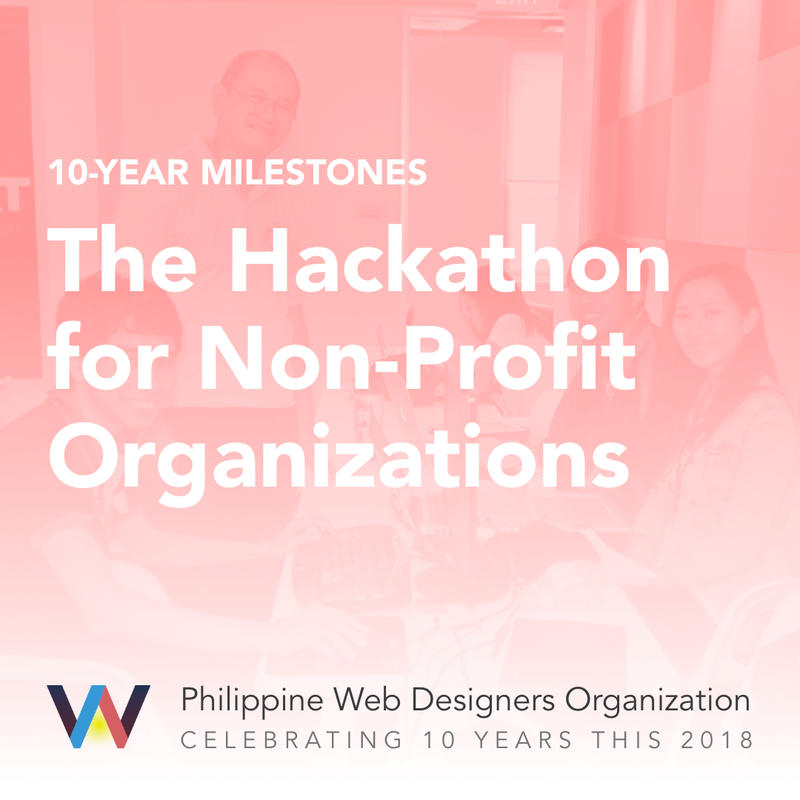 In Caritakathon, teams made up of a designer, developer, and project manager would be matched with a charity or non-profit organization who could not afford to hire someone to make their site. After an initial consultation, the team would build the org site over a weekend and present it to judges. The winning team took home prizes, while all the organizations walked away with new sites. Watch more Caritakathon videos here. We’ve made many friends along the way, across different groups, companies, schools, cities, and continents. 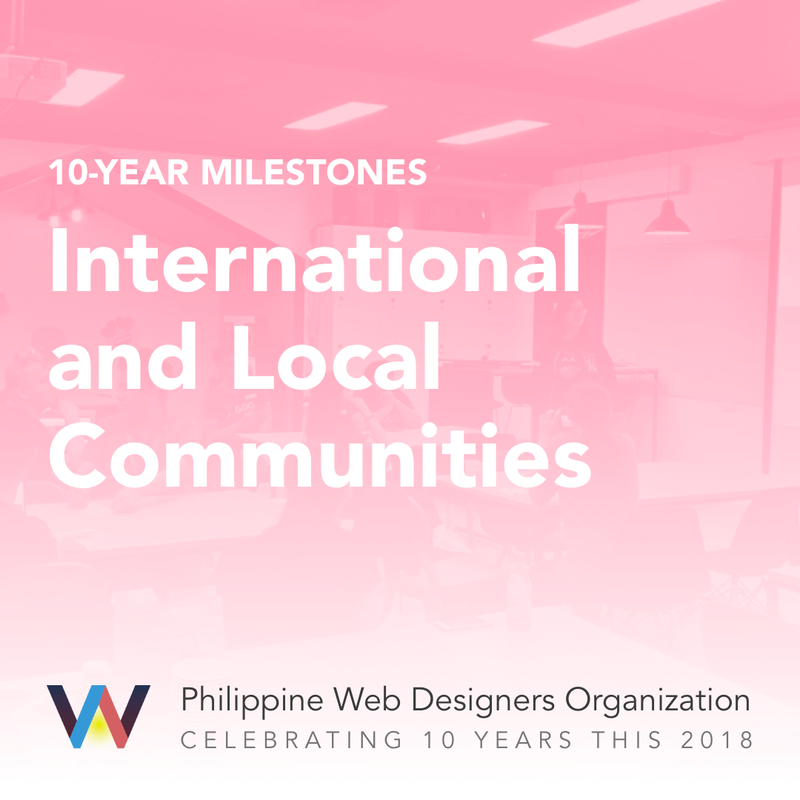 We are one of the earliest members of Philippine Tech Community, an alliance of tech groups that meet monthly to learn from one another and collaborate on events nationwide. In 2018 we were part of the International Council of Design (ICO-D) ASEAN Regional Meeting in Kuala Lumpur, Malaysia, as well as the DevRel Summit in Singapore. 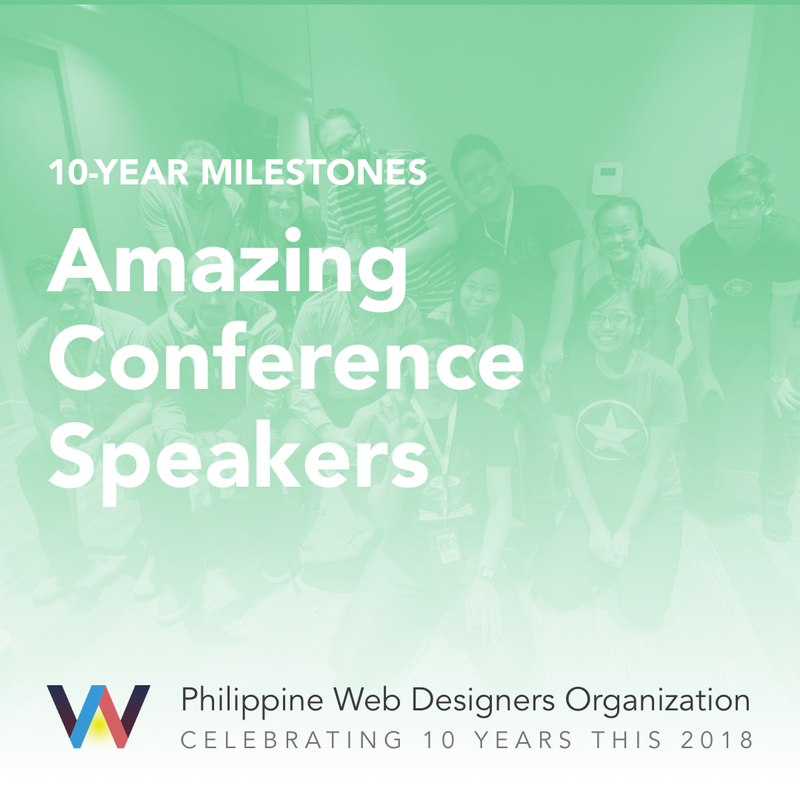 We’ve attended, established partnerships with, and are inspired by Web Directions in Australia, JSConf.Asia, Webconf.asia, SingaporeCSS, and UX Hong Kong. We’re strengthening our efforts to branch out of Metro Manila, having done events in Pampanga, Baguio, Cebu, and Ilocos Sur so far. We’re invited to speak at various high schools and colleges as well as other designer & developer events. We introduced the Masterclass, an intensive, whole-day hands-on training led by top speakers from around the world. 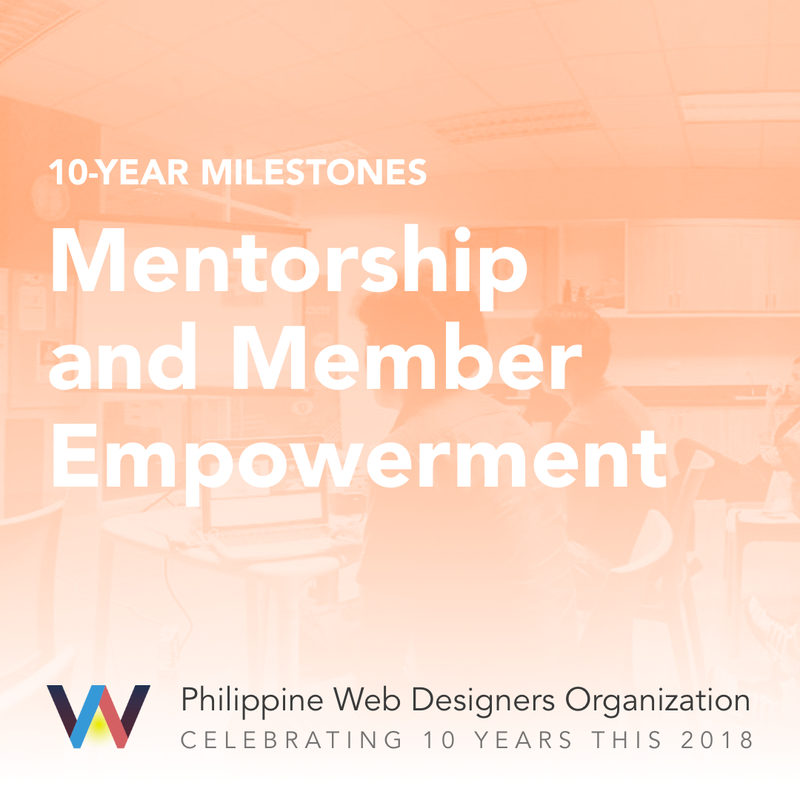 We’ve done crossover events such as joint meetups with UX Philippines, Rails for Designers with Philippine Ruby Users Group, Women Who WordPress with WomenWhoCode Manila & WordPress User Group Philippines, and Code In The Dark with Manila.CSS. Our members get real-world opportunities to develop skills and further their careers through our events and projects, from design and development to other areas such as marketing, sponsorship, writing, documentation, & production. Meanwhile, we’ve built friendships and destress after all the hard work with movie club, food crawls, and outings. The rebrand of Form Function & Class was an opportunity for then Design & Tech Lead Aceler Chua to use the typeface he’d created as he did a rebrand of Form Function & Class. Jai Lim built a web app to pick raffle winners during the conference. Seph Buluran & Zish Garces developed certificate generators for attendees. Pierce Jonota maintains the MiniFFC site that runs on Jekyll. Doing events teaches customer experience and grace under the most extreme pressure. Members also have tons of opportunities for networking, speaking, finding jobs, and enjoying perks like domain names, web hosting, and passes to co-working spaces around the metro. We weren’t always this mindful and intentional about it, but we’ve been slowly getting better at diversity and inclusion. Our conference speaker gender ratio for the past years have been close to, if not exactly, 1:1, and our audience isn’t skewed heavily towards one gender. Our organization would be nothing without dedicated ladies leading the charge, and some of our most active members are LGBTQ. We’ve also received a nod from WomenWhoCode Manila for Most Diverse Tech Conference in 2017. Ten years ago, none of these things existed. We had zero funds, zero event experience, but thanks to the passion of fellow organizers and the generous, collaborative spirit of companies, communities, and individuals—all connected by the World Wide Web—we were able to grow from literally nothing into something that we hope has been helpful to you. We’re not stopping here, and we’ve got so much more we want to do. 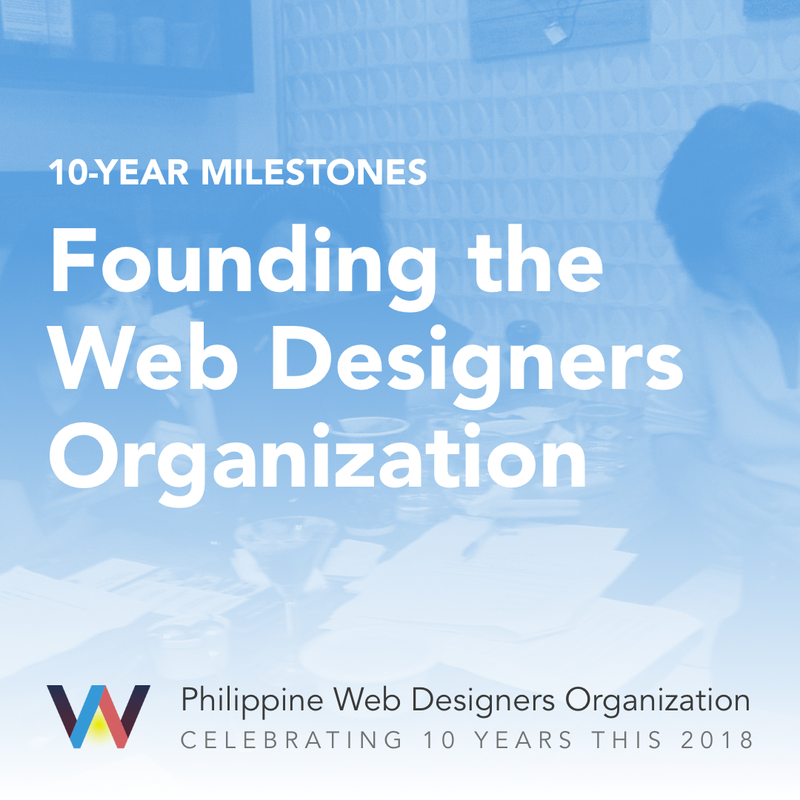 Here’s to even more fruitful years and shining milestones of the Philippine Web Designers Organization!